The last few years have been kind to the California wine industry. A multi-year drought notwithstanding, vintners have been blessed with a string of good vintages. At the same time, a reasonably healthy economy has consumers trading up and buying more expensive wines on a regular basis. “We’ve had some of the best years I can remember,” says Rob Davis (pictured atop), winemaker at Jordan Winery in Sonoma County’s Alexander Valley. Davis certainly has the perspective to make such a statement: He’s been at Jordan since 1976, the winery’s inaugural vintage. 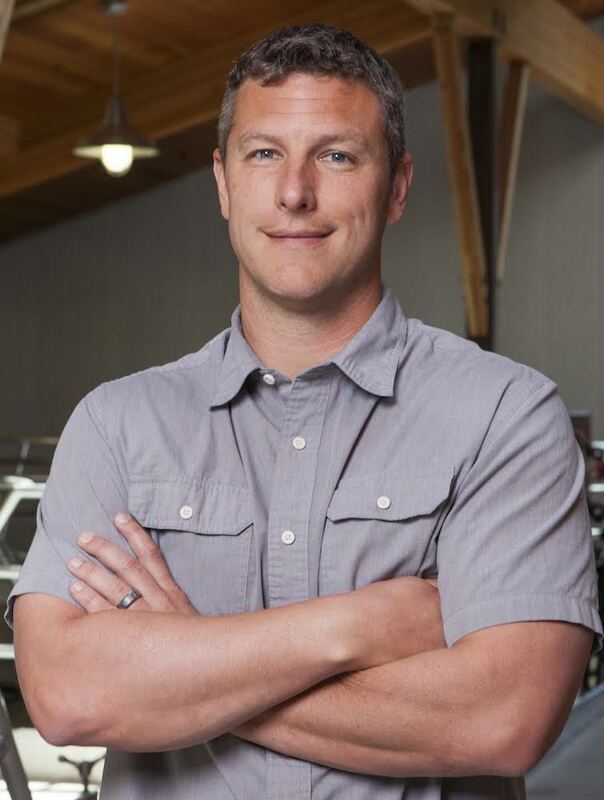 The past few vintages have provided “a pretty good run,” adds Doug Fletcher, vice president of winemaking for Terlato Wine Group. Fletcher also can take the long view: He’s based at Terlato’s Chimney Rock winery in the Napa Valley, where he started as winemaker in 1987. California vintages often are judged through the lens of Napa and Sonoma, particularly Napa and Sonoma Cabernet Sauvignon. But winemakers up and down the state who make wines ranging from Chardonnay and Pinot Noir to Syrah and Zinfandel report that the past several vintages have been good, especially those since 2011, which was troublesome in several areas. Stuart Spencer, winemaker at his family’s St. Amant Winery in Lodi, agrees that 2011 was cool, “but cool years are good for Lodi,” where summer heat can be fierce. Jordan Vineyard & Winery Estate. Since then, California has been in a drought (Even the winter of 2015-16, which was expected to be wet because of an El Niño weather pattern, didn’t produce as much rain as everyone hoped for). 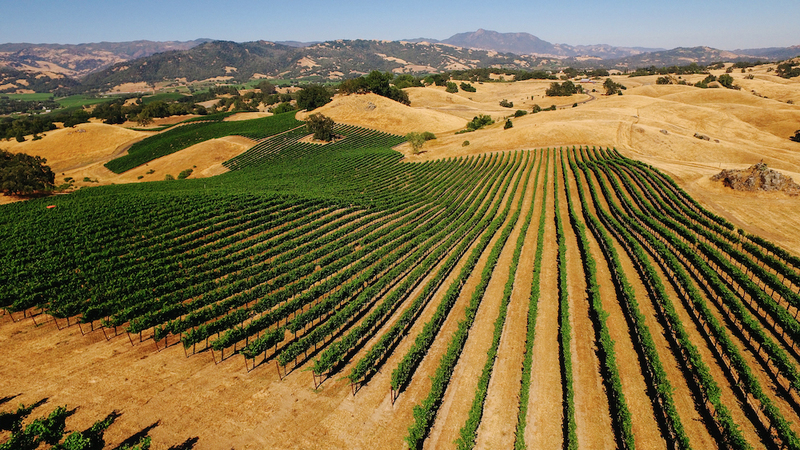 Grapevines need water, but most of California’s vineyards are grown with irrigation, usually drip irrigation. As long as there’s sufficient water to draw from — either in surface sources like reservoirs or underground water that can be pumped – the vines will survive and continue to produce grapes. Drought years typically result in smaller clusters and berries, which translates into more concentration and intensity in the wines. And rain is unlikely to spoil the fall harvest in a drought year. On the downside, long droughts stress the vines and make them more susceptible to pests. “The vines just don’t look as happy,” Sass says. Salts can also build up in the soils if there’s not enough winter rain to flush them out. The bottom line is, an extended drought could eventually result in problems for grape growers, but winemakers generally like the quality they get in a drier year. “I would have to say quality is better in a drought year,” Sass says. Fog’s Reach Vineyard, Arroyo Seco AVA. 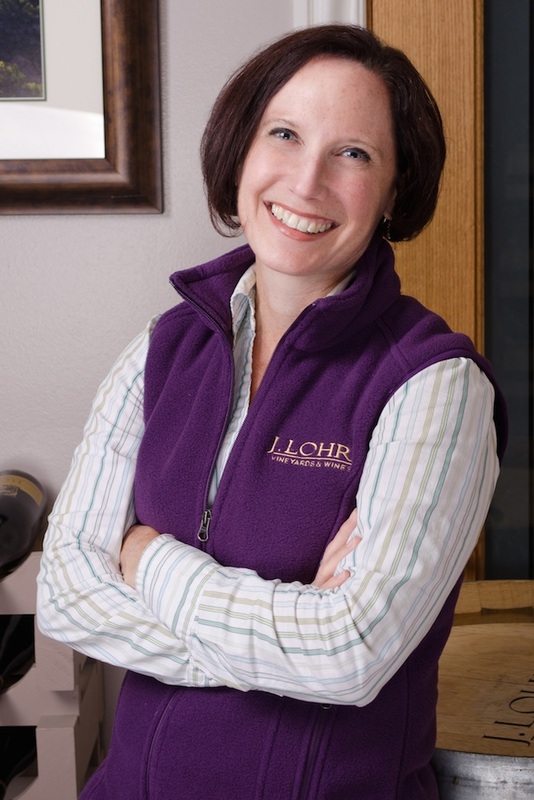 Kristen Barnhisel, white winemaker for J. Lohr, liked the concentration of the 2014s. Nearly all of the winemakers interviewed agreed that there’s a trend toward earlier harvests. Sometimes that’s because of warm weather; in other cases, low yields caused the fruit to ripen more quickly. Lindquist shares a winemaking facility in Santa Maria with Au Bon Climat. He says that winery would usually bring in its first fruit at the end of August or early September. In 2014, Lindquist adds, the first Pinot Noir for ABC was picked Aug. 7, despite the fact that it was an abundant vintage. In 2015, when the crop was smaller, the same block of Pinot Noir was picked July 27. He expected to start harvest this year in early-to-mid August. Barnhisel is also seeing earlier harvests. The winery picked its St. Helena Sauvignon Blanc on Aug. 11 in 2014, Aug. 10 in 2015 and Aug. 11 this year. “Although it seems early,” she says, “it is ‘normal’ for this vineyard these days.” Most of the winery’s white grapes are grown in the Arroyo Seco region of Monterey County, where the climate generally is classified as Region 1, the coolest category; the past couple of years, she says, it’s been closer to a warmer Region 2. Which brings up the question of climate change. State officials say 2015 was the warmest year on record for California, but that macro trend isn’t necessarily reflected in every region or every vineyard. It’s also unclear whether California’s drought is linked to climate change. So is climate change affecting California’s vineyards and the resulting wines? It depends on whom you ask. “We’re not getting the refrigerator effect from the Pacific Ocean,” Davis adds. Warmer nights speed the maturation of the grapes. Lindquist sees a similar pattern, with warmer nighttime temperatures. “We usually can’t sit out on our patio at night” because it’s too cold, he says. That hasn’t been the case in recent years. “I would have to say quality is better in a drought year,” says Kevin Sass, winemaker at Halter Ranch. In addition to the string of good vintages, there has been another welcome development for California vintners: Sales are good for all but the least expensive wines. Continuing a years-long trend, shipments since 2011 of California wines priced above $10 have increased 38 percent, according to data from wine industry analysts Gomberg, Fredrikson & Associates. Wines in the $10-$14 segment climbed nearly 48 percent. Meanwhile, shipments of wines under $7 have declined by 10 percent, with the biggest losses coming for the under-$3 category. “People have been trading up and spending slightly more,” says Jon Moramarco, managing partner of BW166, a consultant to the beverage alcohol industry and the co-owner since March of Gomberg Fredrikson. He says there was “a bit of a speed bump” at the start of the recession, with some consumers trading down to less expensive wines. “Wine flattened out for about 18 months, then resumed growth,” he says. Moramarco adds that the top 15 wine companies, which account for about 80 percent of the volume, haven’t shown much growth in the past three to four years. But the rest of the wineries, which account for the remaining 20 percent, have grown about 7 percent. He notes another trend affecting the big wine companies: In many cases, they’re trading up by buying more expensive brands. E&J Gallo, for example, bought Monterey County’s Talbott Vineyards in 2015 and, more recently, acquired Orin Swift Cellars. The Wine Group purchased Benziger Family Winery in Sonoma County in 2015. Constellation Brands paid a reported $285 million this year for the Prisoner Wine Co., which includes the Prisoner red blend and four other brands. The big companies also continually create new brands. So far, increased sales and trading up by consumers haven’t translated into much in the way of higher prices. Moramarco says that some smaller wineries, especially those with a lot of direct-to-consumer business, are “raising prices a little. Larger companies with large brands are still having a tough time getting retailers to accept price increases on existing SKUs.” He adds that the big companies are raising prices on new SKUs or new brands where possible. Winemakers interviewed for this article were split on the question of higher prices. Sass, at Halter Ranch, says that business, especially direct- to-consumer, has been booming. 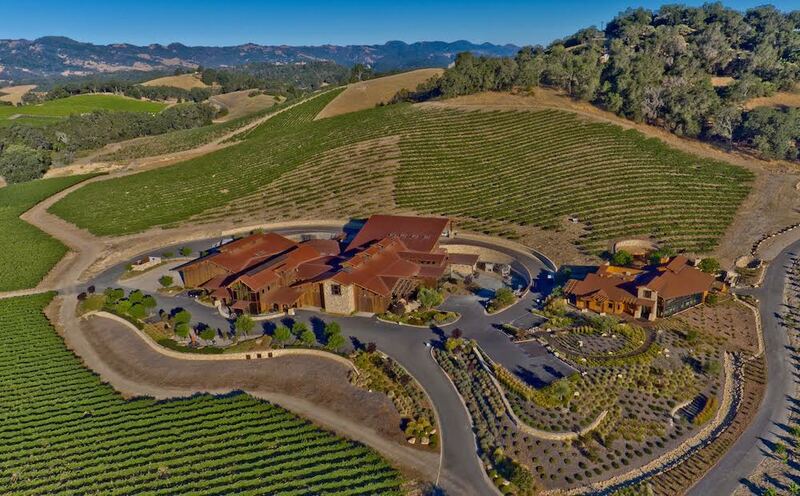 He doesn’t know whether to attribute that to the winery’s new tasting room, the strong growth in Paso Robles wines generally, or the economy. But he adds that direct-to-consumer has been so strong that the winery is limiting some shipments to wholesalers. Still, the winery is mostly holding the line on prices. Qupé’s Lindquist says that up till now, the winery has mostly decreased discounts to wholesalers, rather than technically raising prices. But Qupé is looking at small price increases next year on its two biggest-production wines, the Central Coast Syrah and the Y Block Chardonnay.